The rodeo features cowboys who belong to the NSPRA (National Seniors Professional Rodeo Association.) It’s an exclusive club open only to members who have achieved the elevated status of 40 anniversaries of their life on this planet. 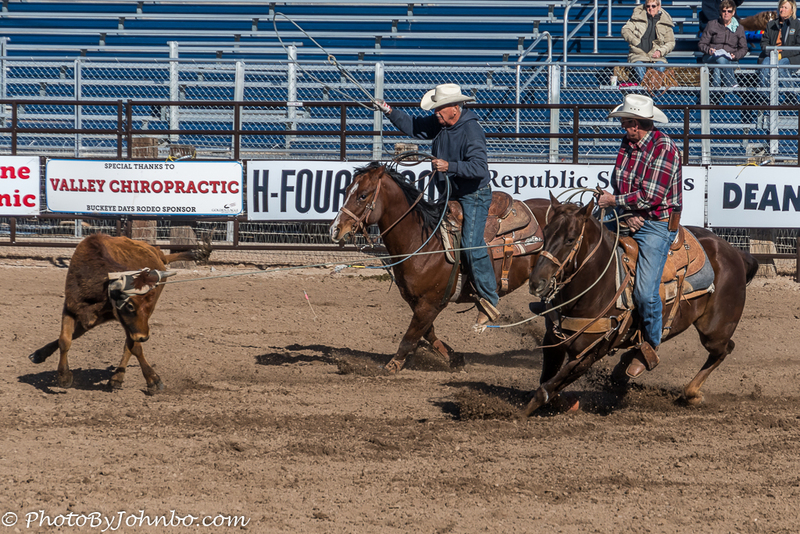 Point handicaps are offered for riders in their 70’s and 80’s, and the oldest participant in this year’s team roping event is 84 years young. (He is not necessarily either of the two cowboys in the image above.) Incidentally, there is a reason the gallery looks empty in the image above. When I mentioned going to the rodeo to photograph, a friend commented that if I go a day early, I can view their practice sessions. Very few spectators and lots of time to practice. Going a day early allowed me to determine the best place in the venue to be to capture action without being in the way of other people who came to watch the rodeo. It was a great idea. I found the best place to stand and shoot, below the level of people in the stands and a clear view of all the action. 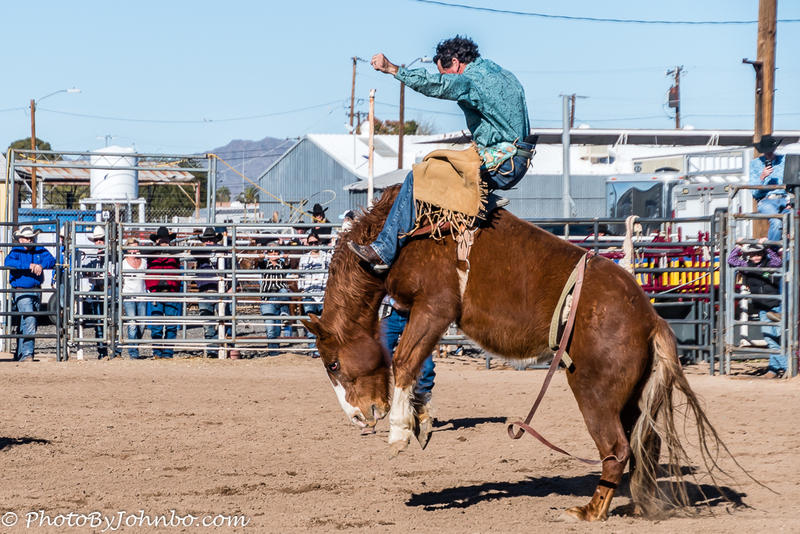 The rodeo, unlike the PRCA (Pro Rodeo Cowboys Association), allows amateur photographers to photograph their events. I recently learned, after bringing my camera to a PRCA rodeo, that only PRCA members with photography credentials are allowed to bring a camera into the arena. 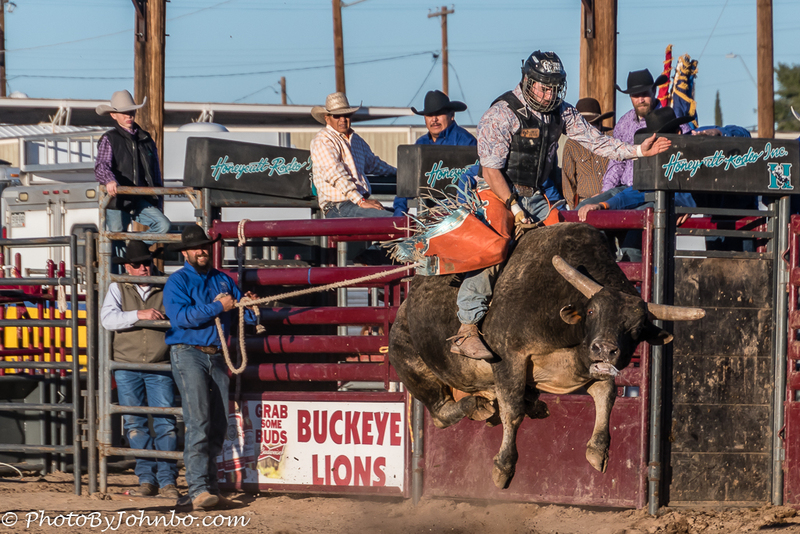 No matter, there is plenty of action available at an NSPRA rodeo as can be evidenced by the bull ride in the image above. Not all the participants are advanced in years at the Hellzapoppin’ Rodeo. 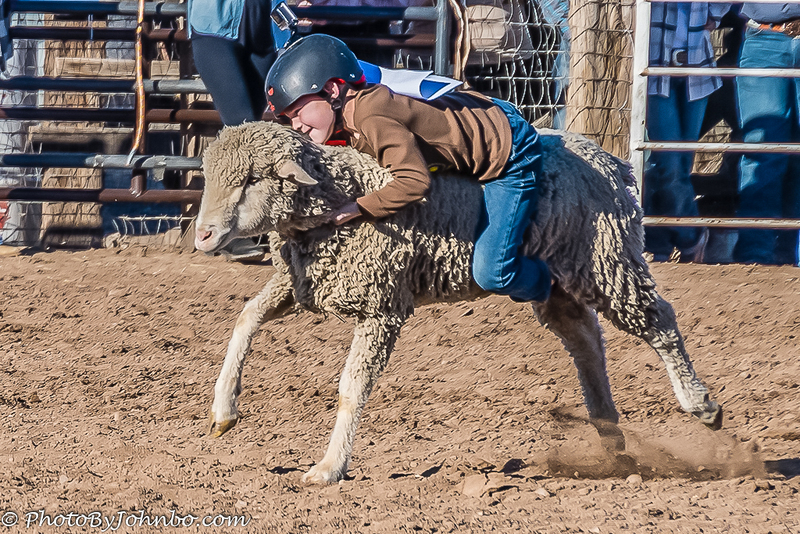 Mutton Bustin’ (sheep riding) is an open competition for 5-7 year old cowboys and cowgirls in training. Each day, 20 mutton busters competed for the longest ride. Turns out that sheep don’t much like kids on their backs. Some rides were surprisingly short, but this young man hung on to be one of the top contenders. 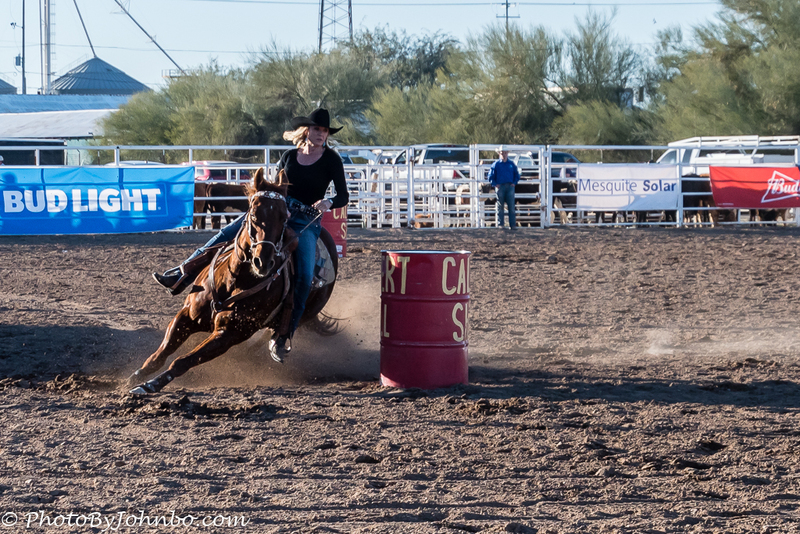 Barrel racing is a popular feature and several competitors vied for the best time around a short course with a 360-degree turn around each barrel. There are so many things going on at the rodeo and with the camera’s ability to capture so many precise moments in time, the gallery featured below is one of the largest I’ve shared. Click on an image to enlarge it and to scroll through the gallery. Great pics! My heroes have always been cowboys; and they still are today. I’d say you’ve adapted to your camera quite nicely. Eeeeee – haa, ride’em cowboy!!! Thanks! Looking forward to more rodeo photography in the future. It was great fun.